Welcome to SWAY SOCIAL Wedding Bands Ireland. Let’s begin! You are looking for an amazing band, you searched “Wedding Bands Ireland” and thus, have stumbled upon Sway Social? From the very second you popped “Wedding Bands Ireland” into your search bar, you had no idea you would find us. 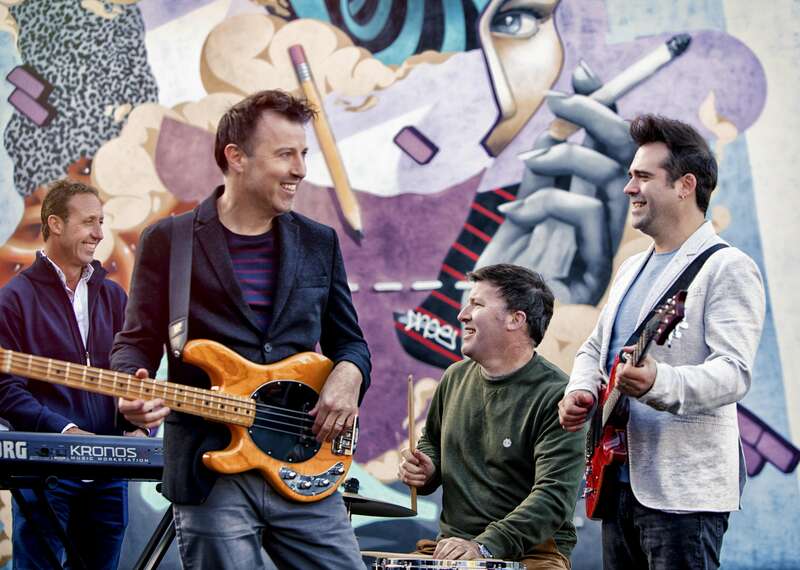 Sway Social – the band for you. WINNER of WeddingsOnline Band of the Year 2017! One of the Best Wedding Bands in Ireland – The incredible sound of Sway Social is four experts singing and playing instruments in the moment, right in front of you, totally live. No backing tracks, which means they respond on the night and can expertly play what people want. They are four virtuosos, performing as one, on guitar (Gavin), bass (Ed), keyboards (James) and drums (Ian). 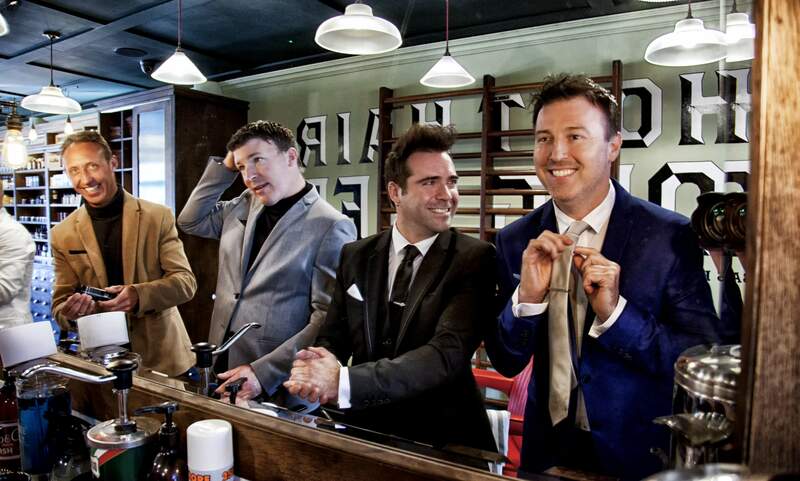 Sway Social Wedding Band Ireland are ever dedicated to providing the most excellent service, the unforgettable night’s musical entertainment that you deserve for your big day. We set the perfect tone for our wedding evening music – a performance that comprises those timeless classic songs from the 60s, 70s, 80s & 90s plus the contemporary tracks that are currently featuring in the charts. For 3 hours, Sway Social Wedding Band cover a vast range of popular songs and styles – just take a look at our full extensive playlist. Fun and energetic, Sway Social know how to entertain your friends and guests. If you want your guests dancing and having a ball, then Sway Social wedding band are the right choice for you. The Uber Wedding Band Experience – We play a massive setlist spanning from the 1950s right to the present- the big variety represents our vocal ability as four lead singers (really really) with the experience of “too many years to mention” together in music. We also have a list of first dance songs on offer for you if you are stuck for inspiration for the big dance. We have our own little way of arranging the music – it’s a blazing, non-stop, energetic run through all of your favourites, with barely a pause between. Thinking about having a civil ceremony? We’ve got you covered! Our management group have just launched Civil Ceremonies with MusicAngel, the one-stop place where you can find a world of options exclusively tailored for your civil ceremony entertainment. Talk to the team at Civil Ceremonies by MusicAngel to get advice and more info on pricing and options. Some time ago, we four met, fell in love with each other and decided to form a band. Ultimate bromance. We started by getting social, gigging, weddings, events, here, there and everywhere . We found people loved us. And loved us even more. Venues started requesting us. Sway Social, as you know it was born. Yes. Here we are today. It’s 2017. Wedding to wedding, we’re all across Ireland. We’re bigger than ever. And still getting social. 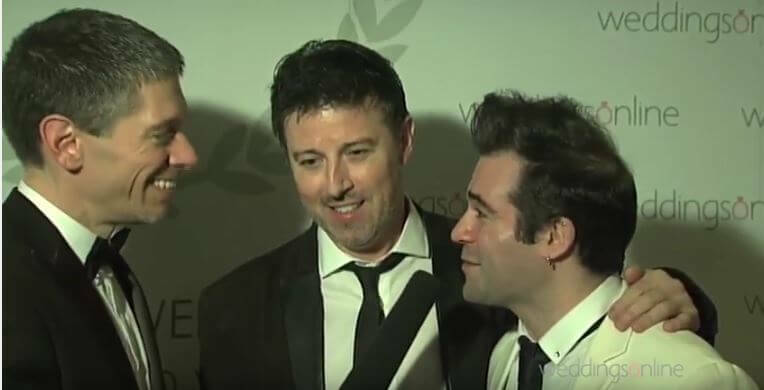 Hi Gavin, On behalf of Amanda and myself I just want to extend my sincere thank you to yourself and the lads for being part of our wedding celebrations earlier this month at Dunboyne Castle. Everybody was raving about “the wedding band” the day after and we were both delighted. The song selection was spot on and I don’t think the dance floor was empty once! A huge huge thank you for making our wedding day one to remember! Well, here we are 12 weeks on; the dust has settled and the wedding feels like it’s a short lifetime ago but people are still asking and complementing us about SWAY Social, or “Your Wedding Band” as they have affectionately become known as. The guys were absolutely brilliant, complete professionals from start to finish; they came, filled the dance floor, raised the roof and had the crowd shouting for more. We can honestly say we danced all night to the best wedding band ever! Wanna see what Sway Social would be like at your wedding day? CHECK OUT OUR VIDEO shot at the gorgeous Ballymacgarvey Village. We’re SURE that you’ll likey. See Us Live. We’ve too many options of dates. Get on over to our “Showcase” section and see – It’s the perfect opportunity to listen to Sway Social live in an exciting setting and lively atmosphere. Free Admission – all welcome! Contact niamh@swaysocialmusic.com for more information. Sway Social were mentioned one of WeddingsOnline's 'Most Reviewed Bands of 2017'! Winner of WeddingsOnline Award 2017! We have HUGE news here at Sway Social headquarters. 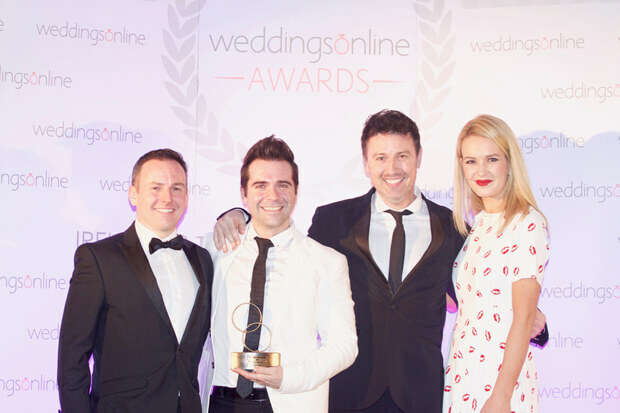 We’re now officially the Winners of the 2017 weddingsonline “Band of the Year Award”!